In January 2016 Siemens Hearing Instruments, were re-branded as Signia. The parent company Sivantos remains one of the world’s largest hearing aid manufacturers, employing over 5000 people and distribute their hearing aids to over 120 countries. Signia offer a full portfolio of hearing aids for all budgets and lifestyle. Focus Hearing is proud to be an approved supplier of Signia hearing aids, and will help you to understand the choices available. 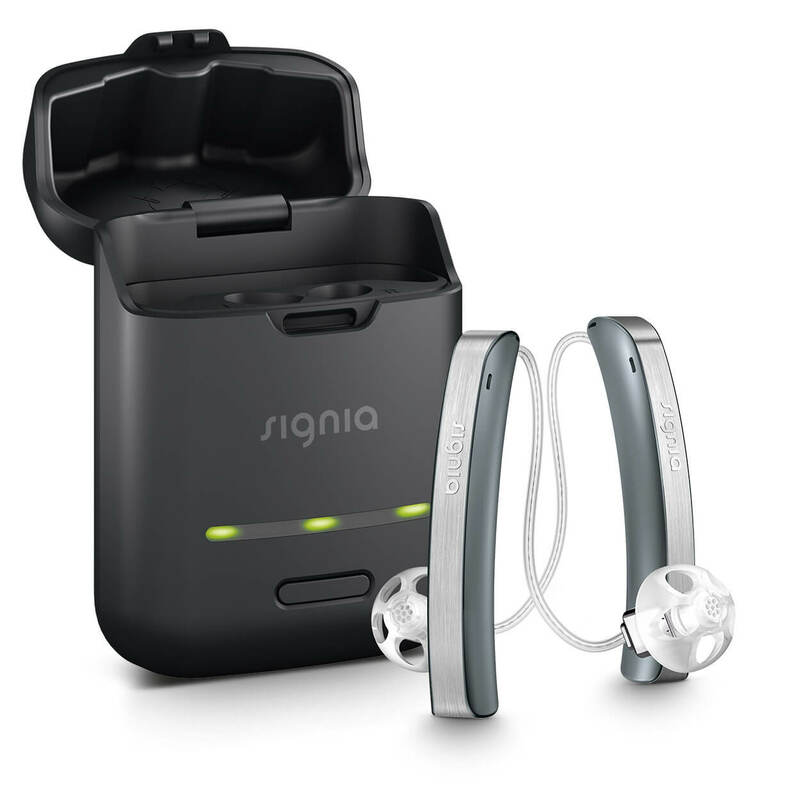 The Signia Nx family of hearing aids are the latest release from Signia. Signia Nx hearing aids offer the most natural sound experience via world first technologies such as Own Voice Processing (OVP™) and 3D Classifier for unparalleled sound quality in all listening situations. Signia Nx is available in all styles from the worlds- first Slim-RIC Styletto to the instant fit, invisible Silk Nx. All Signia Nx hearing aids are available in three levels of technology: 7Nx, 5Nx and 3Nx to suit your lifestyle and budget. 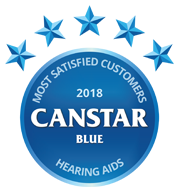 Siemens-Signia has taken top spot in the 2018 Canstar Blue Award customer review, scoring five stars across every research category, including value for money and overall satisfaction. Signia Styletto is the latest addition to the Signia Nx family. Styletto is the world’s first Slim-RIC hearing device which will change they way you think about hearing aid design. 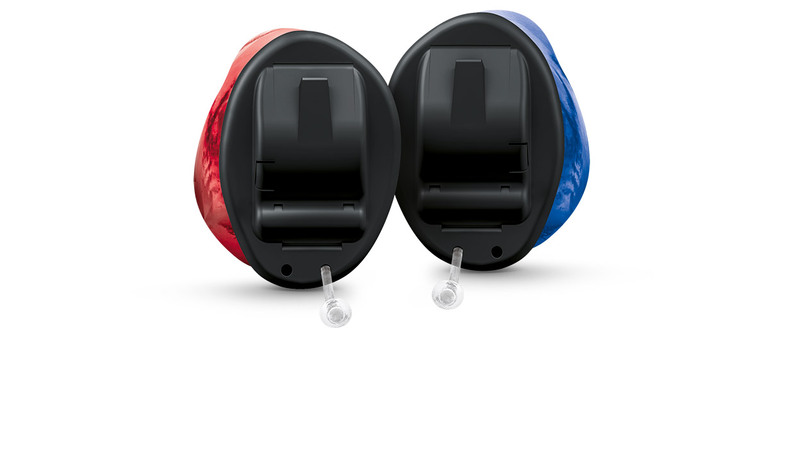 Styletto is a fully rechargeable, Lithium-Ion hearing device which ensures a full days use with every full charge. In addition, the ultra-slim, portable recharging case allows for charging on-the-go. The behind-the-ear styles of the Signia Nx, represent the most fully featured option of the Signia Nx family. They are available in the most popular and discreet RIC (receiver-in-canal) style which Signia call the ‘Pure’ or in the more conventional behind-the-ear style with a full earmould called ‘Motion’. Apart from all the processing advantages of the Signia Nx platform for optimum hearing clarity in a range of listening situations, the behind-the-ear options also have additional features and benefits including: Made for iPhone technology allowing for direct streaming of any audio signal (such as phone calls or music/video audio) from your iPhone direct to the hearing aids. There is also the option for Li-Ion rechargeability with the Pure Charge&Go hearing aids. Signia Silk Nx are a ready-to-wear, instant fit, virtually invisible hearing aid. Using an innovative, interchangeable sleeve system the Signia Silk Nx fits approximately 80% of ears. Despite it’s tiny size, it is a fully featured hearing aid built on the highly successful Signia Nx platform. It also offer’s the world’s first directional microphone system in a completely-in-canal style. It is also compatible with the iPhone and Android smartphone app, TouchControl allowing for discreet control of the hearing devices directly from your smartphone. Insio is a custom option which is shaped exactly to the shape of the ear canal. 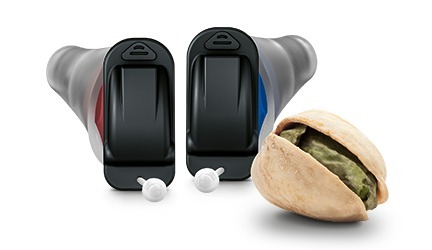 It is available in a full range of custom devices from the near invisible Completely-In-Canal (CIC) option which features an industry first one-mic directionality system for improved hearing in background noise, to the full size ITE style. It is available in a power matrix for those with a very significant hearing loss who do not want to or are unable to wear a Behind-The-Ear instrument. Using the Signia myHearing app you can receive personalised care wherever you are. This means less visits to the audiology clinic for hearing aid adjustments. This feature is especially useful for those people who live a significant distance from the clinic or those who have limited mobility making trips to the clinic difficult. The audiologist at Focus Hearing can send a new hearing aid setting to your Smartphone and all you need to do is press on the link to upload the new settings. You can then give immediate feedback on how it sounds. The myHearing app also allows you to give feedback to your audiologist on how you are progressing with your new hearing aids and whether you need extra assistance.